When you're involved in an open source project, you know the intense personal commitment you make to ensure its success. Many developers and users have experienced this personal commitment, but not all projects succeed relying on the passion and effort of its founders. Not everyone can support a project or has the time to do so. Feedback from your peers doesn't do any harm, but it's not enough to sustain a project. One way to remedy this is through crowdfunding  , which can provide the resources and funding you need. The term is self-explanatory and refers to a common source of action. Crowdfunding, however, can do more. For example, it can help clarify goals, but it requires assessing the proper support environment and involves a bit of luck. With enough persuasion, really (almost) nothing can stand in your way. Joey Hess  succeeded with his Kickstarter campaign for a Git-annex  and was able to put all his energy into a years' worth of work. Similarly successful was Fairnopoly , which was financed through crowdfunding. It is now a Berlin auction cooperative that provides its platform based entirely on Ruby on Rails over GitHub. 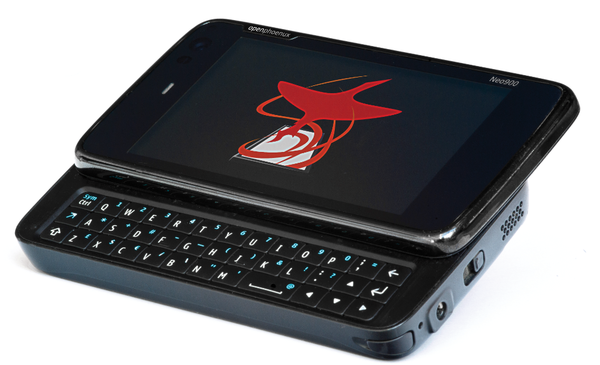 The developers of the Neo900  mobile phone, the successor to the legendary Nokia N900, also tried crowdfunding. The campaign was a success, and the team managed to put together the 25,000 Euros they needed for production (Figure 1). The developers are now seeking sponsors for the first thousand units to bring down the price per unit. Figure 1: Success in prefinancing the Neo900. Michael Ossmann developed the HackRF  Software Defined Radio (SDR) module for different radio and audio frequencies. A side effect of the successful financing from Kickstarter was the public attention his project received. The UDOO board  project, which runs Linux and Android and is a compatible Arduino platform, also has become better known thanks to crowdfunding. Public administrations are also trying out the approach. For example, Swiss Geoportal  in October, 2013 reported a successful switchover to the OpenLayer3 library. Supporters contributed more than 75 percent of the funding . From a fiscal point of view, crowdfunding is a contributory model. It's in line with the prepayment model (subscriptions, advance payment, and discounts) and share financing (associations, cooperatives, and stock companies). The principle is the same, but the amounts, liability risks, and costs are lower. There's a distinction between spending and lending-based support. Lending-based support is called crowdinvesting, or equity-based crowdfunding. Supporters provide their help and get back surplus value in the end. The participants contribute according to their own best abilities. The upper and lower limits of the shares depend on the project. The proportion applies either upon commitment or at the campaign's conclusion. Two versions of crowdfunding have been prevalent so far – with or without minimum required amounts. In the first version, the action begins as soon as the targeted amount is achieved; otherwise, the shares are returned to the supporters. The second version follows the hopefulness principle, and the action occurs in any case. The financing takes place during the implementation and is in the form of donations. A high stress level and highly persuasive supporters are usually needed to best serve the project. At the end, the result is largely free of charge and common property. Crowdfunding in the past largely occurred in the arts, book production, music-making, and performances. As an independent concept, it emerged only as recently as 2011, although it's been in action for much longer time. Previously, crowdfunding was typically associated with patrons and sponsors – that is, a few supporters with large resources. In contrast, today's crowdfunding depends on smaller contributions in various amounts from many sources. He performs drum 'n' bass live on Linux. Who's behind the neon knobs? We talk to OpenAV Productions founder Harry van Haaren about synths, stage performance, and a salary of 1.15 euros an hour. A new mail program for Linux, Geary, has finally arrived. The smart software brings some fresh air to the genre.